GameGuru - GameGuru Mega Pack 2 DLC updated! GameGuru Mega Pack 2 DLC updated! We bring you another update to one of our DLCs! 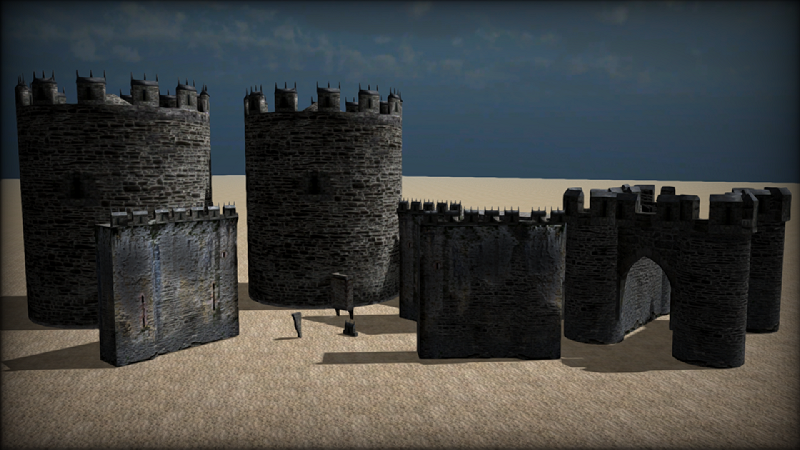 This time from the huge GameGuru Mega Pack 2 - featuring improved PBR textures for 10 items including castle towers and walls. By converting these items to fully Physically Based Rendered assets we are gradually bringing our legacy non-PBR assets into the 21st century. Back in the main product, we continue to work on the AI system which you can follow along in the GameGuru forum thread, and we are proceeding nicely with our work with GLTF, starting the bone skinning and animation part of the import.